From the looks of it, National Beverage Corp. (NYSE:FIZZ) is a brand in crisis mode. 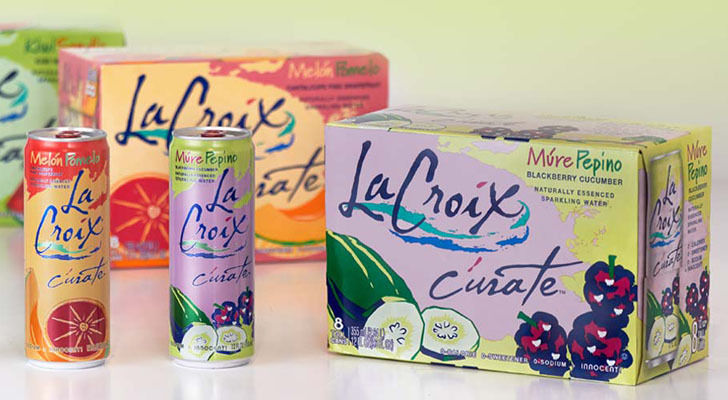 The parent company of leading sparkling water brand La Croix has seen its growth narrative come off the rails over the past several quarters as competition in the sparkling water category has heated up and broader market growth has cooled for FIZZ stock. Meanwhile, management appears to be in damage control mode, the PR backlash hasn’t been great, and the outlook for demand and profit growth to return in the near term is bleak. All together, FIZZ stock has dropped from a 52 week high of $120-plus six months ago, to prices below $60 today. At this point in time, the bear thesis on FIZZ stock looks pretty compelling. You have a brand that is rapidly losing mind and market share in a slowing market, with falling margins and rising opex rates, too. All together, National Beverage Corp. will likely pivot into an era of sideways profits for the foreseeable future, which should lead to further weakness in FIZZ stock. That thesis sounds good. But, it misses one big element: valuation. At current levels, FIZZ stock is dirt cheap. It’s already priced for all those negatives. But, in the event that National Beverage Corp. actually turns sales around and stabilizes margins, this stock could fly higher. I think that’s what will happen. In the big picture, National Beverage Corp. is losing share in a rapidly growing market that has supported and will continue to support multiple high volume brands. La Croix will be one of those high volume brands. As such, sales will stabilize. So will margins. And profits. None of that stabilization is priced in today. That’s why now looks like the right time to buy the dip in FIZZ. There’s no question about it; La Croix is losing momentum. Revenues rose 18% last year. Then, throughout the course of fiscal 2019, they have fallen from 18% to 13%, to 7%, and finally to down 3% last quarter. As revenue growth has slowed, gross margins have come under pressure, as have opex rates. All together, profit growth has pivoted from hugely positive, to hugely negative. There’s a few reasons behind this big pivot. First, the sparkling water category is slowing. There’s nothing that National Beverage Corp. can do about this. Sparkling water market growth rates have steadily declined over the past several years, as is only natural for a red hot market with big growth rates. Second, competition in the sparkling water category has picked up. There’s also nothing that National Beverage Corp. can do about this. More competitors have entered this market, include PepsiCo (NYSE:PEP) with their flavored sparkling water drink Bubly. Those new competitors have stolen share from La Croix. Thus, largely due to no fault of its own, La Croix brand is losing momentum. The financial implications of this are meaningful. Revenue growth will be way slower going forward thanks to falling market share. Gross margins will be pressured for the foreseeable future due to bigger pricing competition. Opex rates will head higher as the company will have to spend more to compete on the awareness front. Putting all that together, it’s easy to see that National Beverage Corp’s profit growth over the next several years won’t be great. After back-to-back years of 30%-plus profit growth, investors weren’t expecting great. As such, FIZZ has come under significant selling pressure over the past several quarters as weak profit growth has turned into a reality. With sales slowing, margins retreating, and profits shrinking, it’s tough to see why you would want to buy FIZZ here. But, the bull thesis is pretty simple. All those negatives are already priced in. Eventually, they will fade out. When they do, the stock will pop in a big way. The reality is that, while La Croix is losing market share to newer entrants in the sparkling water category, this brand still remains one of, if not the, most important brand in the sparkling water market. It’s easy to see La Croix’s dominance weakening going forward. But, it’s equally tough to see the brand not being one of the top sparkling water drinks in any time horizon, given that La Croix has become almost synonymous with sparkling water. As such, La Croix should be able to grow revenues at a slightly slower rate than the entire sparkling water category. The entire sparkling water category projects as a double-digit grower over the next several years. Thus, La Croix should be able to grow revenues at a high single digit rate during that stretch. Gross margins will come under pressure, but should stabilize as competitive forces stabilize. Opex rates will likewise move higher, but should retreat in the long run thanks to high single digit revenue growth and stabilized competition. Overall, I think sparkling water market expansion can drive National Beverage’s EPS towards $5 by fiscal 2025, even against a competitive backdrop. Coca-Cola (NYSE:KO) and Pepsi normally trade around 20 forward earnings. Based on that comp average 20 forward multiple, a realistic fiscal 2024 price target for FIZZ stock is $100. Discounted back by 10% per year, that equates to a fiscal 2019 price target of over $60. FIZZ trades at under $60 today. Thus, it’s reasonable to say that, even considering all the competitive risks, FIZZ stock is undervalued relative to its long term growth prospects. I used to drink a lot of La Croix. Now, I drink some La Croix and some Bubly. Apparently, I’m not the only one who has started drinking Bubly, and FIZZ stock has dropped big as a result. But, I still drink La Croix, as do a ton of consumers, and the whole sparkling water category is still growing by a ton. Thus, growth in the long run will stabilize and remain healthy. FIZZ stock currently isn’t priced for this. That’s why buying the dip here looks like an opportunity. As of this writing, Luke Lango was long FIZZ. Article printed from InvestorPlace Media, https://investorplace.com/2019/03/national-beverage-fizz-stock-is-ready-to-pop/.